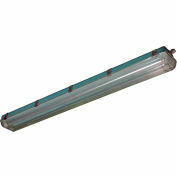 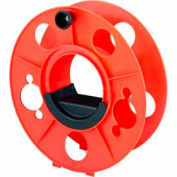 GVP-24-2L-LED - Vapor Proof LED 2 Foot Light for Outdoor Applications(-120-277V AC-5600K). 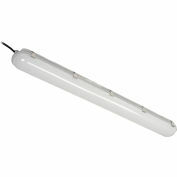 Made in the USA The Larson Electronics GVP-24-2L-LED is similar to our popular explosion proof LED fixtures and provides an LED alternative to fluorescent fixtures that provides longer lamp life and higher performance. 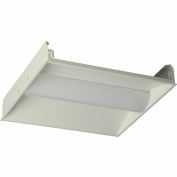 These two foot LED fixtures produce more output with longer lamp life and are vapor proof and impact / vibration resistant. 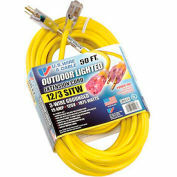 Please note that this unit is vapor proof and not approved for use in hazardous locations. 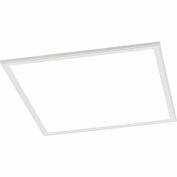 The GVP-24-2L-LED is equipped with two specially designed LED T8-series bulbs which produce 1,750 lumens each and have a correlated color temperature of 5,600K, 4,500K, or 3,000K. 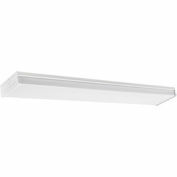 The GVP-24-2L-LED, two foot long, two lamp LED light fixture is designed for those who wish to replace or upgrade from fluorescent equipped fixtures and offers better light output and longer lamp life with reduced maintenance costs. 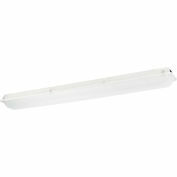 With no ballast and solid state LED light tubes, this fixture draws less than 0.3 amps while offering durability and versatility that common fluorescent fixtures cannot match. 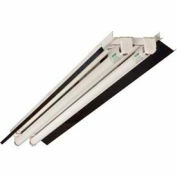 We have eliminated the ballast normally associated with fluorescent fixtures which reduces overall weight and overall complexity of installation. 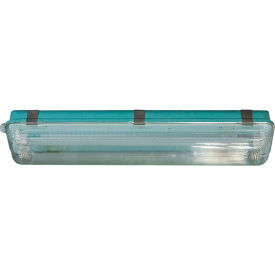 There is no ballast in this unit and the included LEDT8-24-V1 LED lamps have a 50,000+ hour service life, both of which result in extreme efficiency and greatly reduced maintenance costs. 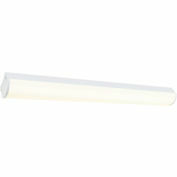 These fluorescent LED lamps have internal drivers, eliminating external power components. 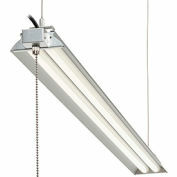 The solid state design of the LED lamps give this fixture superior resistance to damage from vibration, extremes in temperature and a lamp service life over twice that of standard fluorescent bulbs. 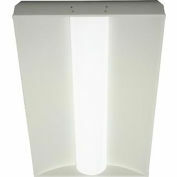 This second generation lamp is offered in 5600K cool white, 4500K natural white, and 3000K warm white. 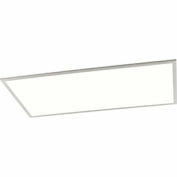 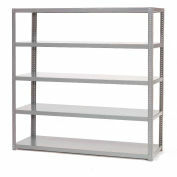 Our standard unit ships with 5600K unless different color temperature is specified.